Southern Europe is the perfect destination if you’re craving to escape the winter for a bit. Especially in the Netherlands where the days are short in combination with a lot of rain and wind Spain is the place to be. I started this little get-away-from-winter last year when I visited Málaga, Spain, for five days (you can read about it here). For me this was such an amazing break which made me wanting to do it again. And before I knew the ticket to Seville (and Lisbon and Porto) was planned and I was on my way to Spain with a friend of mine. From the airport you easily can take a bus to the city (4 euros). We stayed in the amazing hostel Oasis Backpacker’s Palace right in the heart of the city centre. The building itself is really cool and every dorm has their own bathroom which I liked. There is a bar, a roof terrace (with swimming pool(!) which will be great in summer) and a cosy common area to chill on the couches. 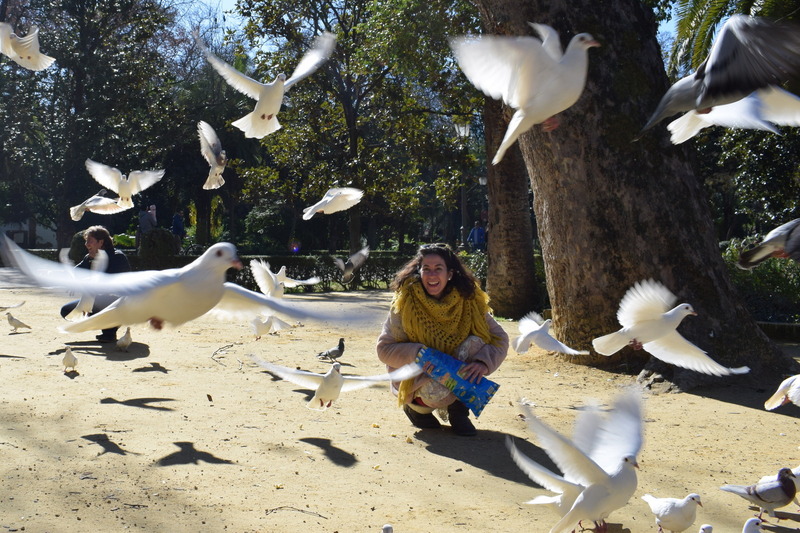 They offer some food as well, but I recommend to get out to grab some – there is a nice bakery only minute from the hostel where you can get a nice and fresh serano ham sandwich (a must when in Spain). The first night we joined the Hostel’s pubcrawl which was fun because it’s easy to meet some of the people staying in the hostel and it gives you an idea where to go for a drink at night. In the morning we started the day just by walking around this beautiful city. What I love about this city is that it is actually a big city, but it feels so small which gives it such a great vibe. And of course: the amazing sunny weather, say goodbye to your winter coat! 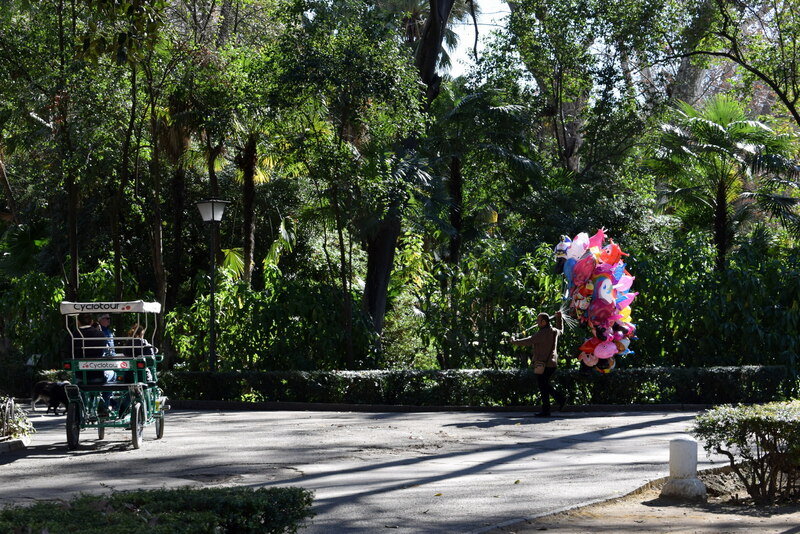 Seville has a lot of parks which are amazing to walk through or just relax for a while. 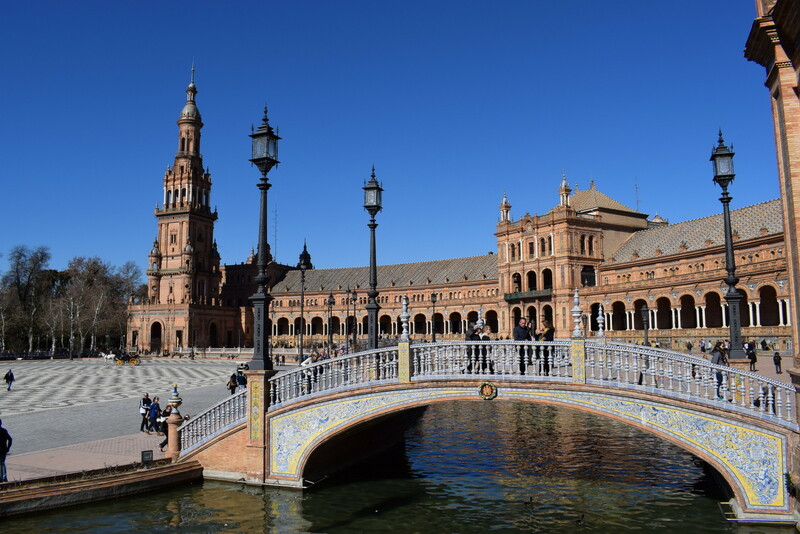 The impressive Plaza de España is adjacent to a beautiful big park as well. 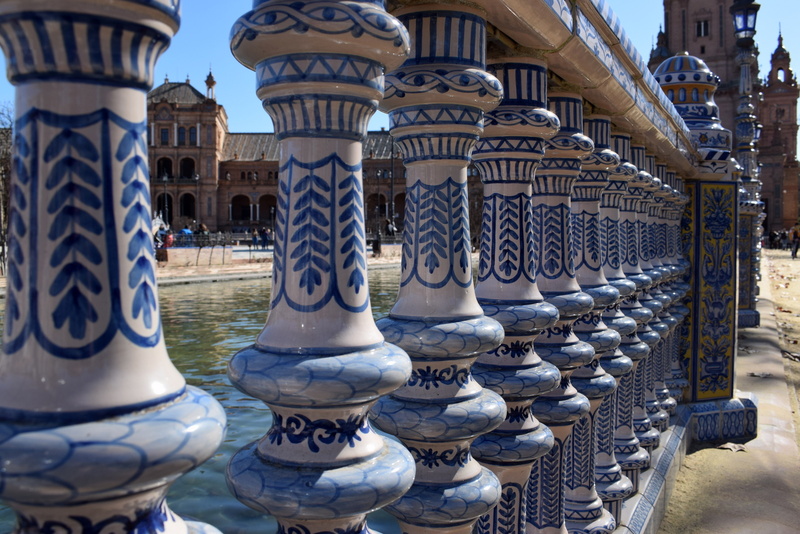 Plaza de España is a place you just don’t wanna leave. Here you will find the 52 frescos: 52 benches covered in amazing mosaic each one standing for one of the Spanish provinces. This beautiful square is half-round with a diameter of 170 meters. When we were at this square there was a cool flamenco performance, those you will find everywhere in the city which increases the Spanish experience for sure. These two are an absolute must when visiting Seville. The Alcázar was for me the most impressive part of Seville. 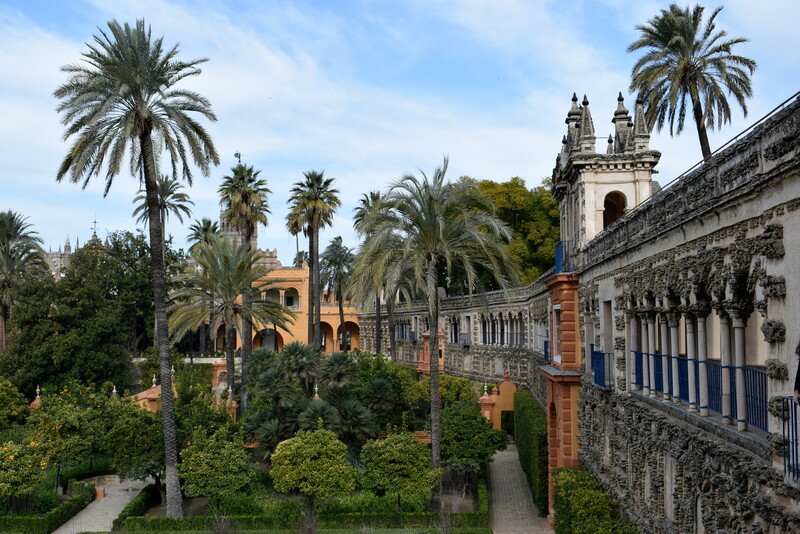 The Alcázar is the Royal palace of Seville and while you enter this palace you are not only amazed by all the beautiful details everywhere, you also will love the enormous park around it. You will almost forget you’re in the middle of a big city and it feels like going back in time! The palace made it for so many beautiful reasons to be on the Unesco World Heritage list. 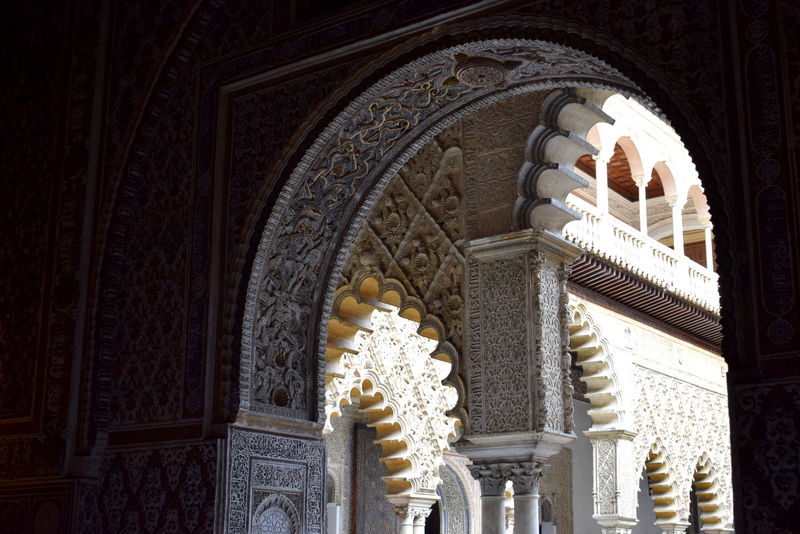 The enormous Cathedral you’ll find right next to the Alcázar. It took us a while to get in because of the long queue, but it was a cool visit. If you don’t have much time or don’t want to deal with too many queues I definitely would recommend to go to the Alcázar first. For both buildings you can book your ticket online too, which will save you some time as well. Tip: just as many places in Spain you get a lot of discount when you’re a student. So if you have a student card make sure to bring it. You can’t miss the Metropol Parasol. It’s a gigantic wooden construction which looks like big mushrooms. The modern look of the construction in comparison with the old buildings of the Seville around it makes it a really cool thing to see. For 3 euros you can go all the way to the top of the Metropol Parasol (26 meters) and have one of the best 360 degrees views all over the city. We didn’t make it to go there around the sunset, but I hear that’s the best time to go, so maybe you can! Another important activity of the Spanish culture are the bull fights. 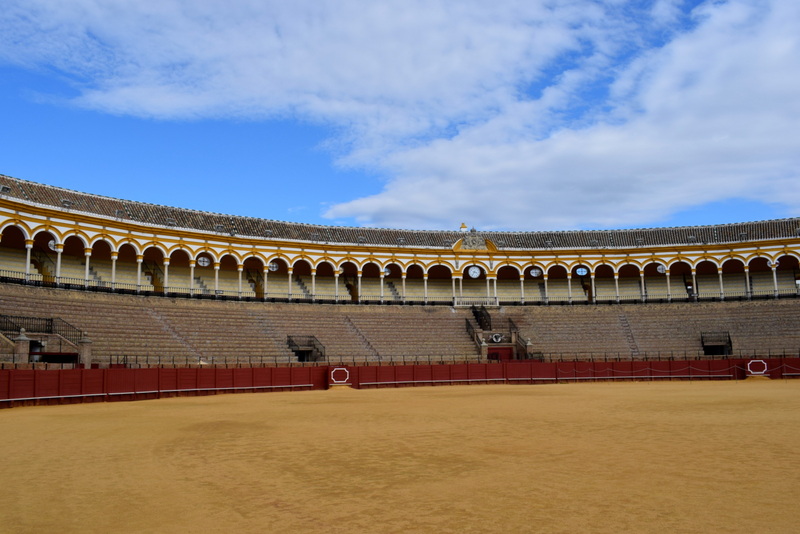 We visited the Toro ring (Plaza de Toros), which is the biggest – there is place for 12.000(!) 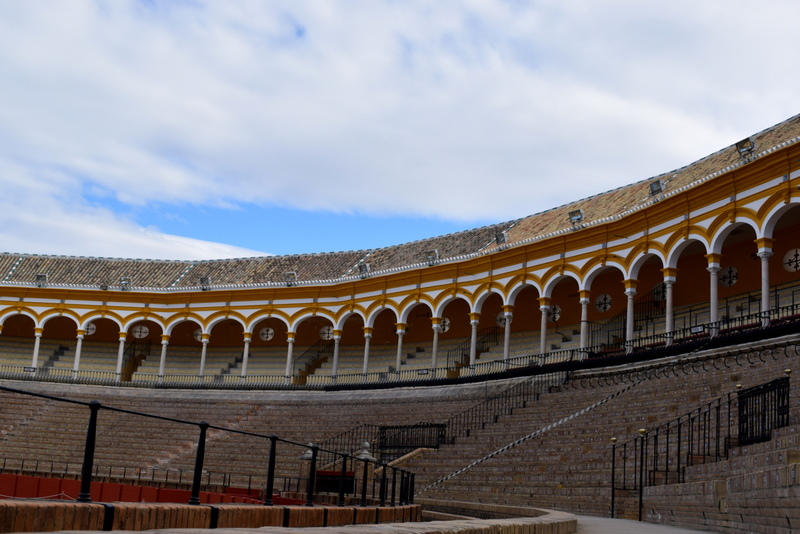 supporters – and it is the most important Bull ring of Spain, built in 1733. It was interesting because we learned a lot about the history of Bull fighting and the arena was beautiful. But for me it was also hard to see this place because of the realisation that so many animals die here (you’ll see blood in the ring everywhere). You will see some bull heads hanging in the museum (some over 100 years old). Going to a traditional Flamenco show was one of my other highlights during my stay in Seville. We went to Casa de la Memoria to watch a show. It’s important to book a ticket for this show in advance because there is a big chance it will be sold out. We paid 15 euros for a ticket (as students), otherwise it’s 18 euros. The show will take about one hour and I loved every single minute of it. It’s quite intimate and the artists will be very close where you sitting. There was a singer, a guitarist and there were two dancers and in my experience the show was so powerful and emotional. I definitely fell in love with the Spanish culture this night. I loved how it was not allowed to take pictures / videos during the performance to respect the artists and to increase your experience, it made me enjoy it even stronger. As a local we enjoyed some tapas and sangria or red wine around 3PM whilst enjoying the sun. 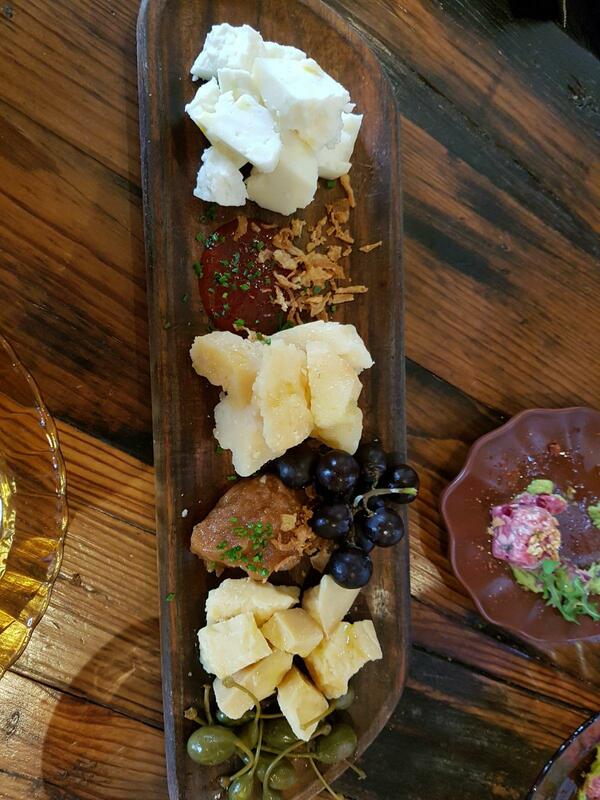 We did this every day while we were enjoying Seville (gotta love some tapas), but for me there is one big food recommendation: Perro Viejo. If you have any chance to grab some food here do it! It’s a really cool tapas bar where we had the most amazing food. 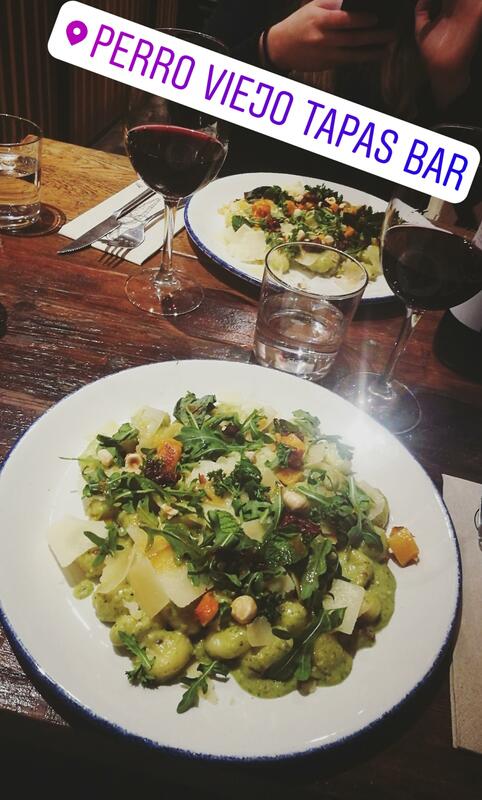 The first night we enjoyed mouth watering gnocchi with pesto sauce, pumpkin, hazelnuts and parmesan (and a good bottle of red wine). We loved it so much we came back the last day in Seville to enjoy some lunch where we had the best tapas we had during this trip. Another thing you shouldn’t skip during your trip in Spain is trying some churros in combination with some hot chocolate (dip them in and be amazed).